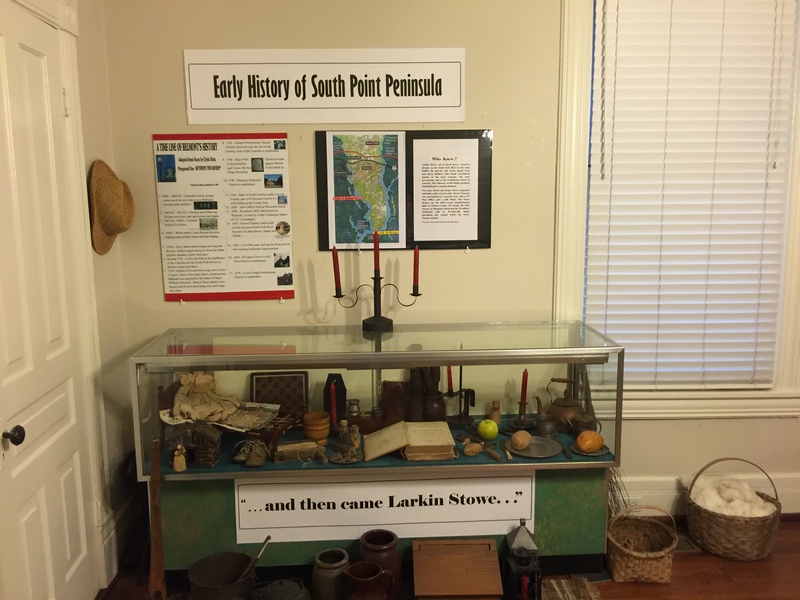 This weekend, the Belmont Historical Society is proud to unveil a new exhibit recognizing the early settlement of the South Point Peninsula and celebrating the first mill in Gaston County which was located in the first town on the peninsula, Stowesville. Come visit us for an open house on Sunday, September 11, 2016 from 2:00pm to 4:00pm. If no one is at the museum during these hours please call (704) 813-2648 to schedule a tour. The Dr. McDowell Room which is the second room on the right as you come in the front door has structural issues. The beams, joists, and flooring are rotten and must be replaced at a significant cost to the Society. At this point, we are still getting quotes for the repairs. Please consider financially supporting this project so that the Society can continue to showcase the best of Belmont history in its museum which is one of the oldest structures in town.